SLYDE THE FROG – DAREDEVIL DIVING FROG FLYS FROM YOUR FINGERTIPS! 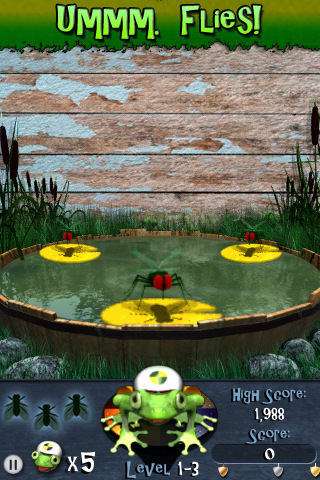 Fly like a butterfly, jump like a frog in this great new iPhone and iPod gaming app! 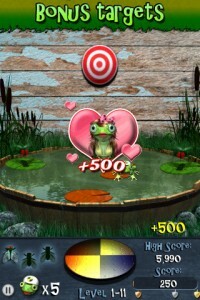 Dodge spikes, fly trap, catch flies, and with the help of bonuses land on the lily pad of your dreams…even capture your frog princess. With over 45 levels of play, say hello to your next gaming addiction! Sacramento, CA – Skyworks, coming from their most recent success with World Cup Table Tennis HD™, an immensely popular #1 free gaming iPad app last month, has unveiled their newest gaming app, Slyde the Frog™. Players are put in charge of Slyde (equipped with ninja-like gymnastic skills and a high-strength crash helmet) and tasked with getting their little green friend onto the lily pads so he can chomp down on some delicious flies. 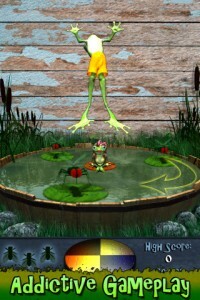 While most amphibians might take the easy way and jump from lily pad to lily pad, this daredevil needs your help for his first push, using that momentum to back flip towards his unsuspecting prey. Watch out though! Push too hard, and Slyde will fly past the bucket and crash into a wall. Push him too weakly and he just crashes into the water. 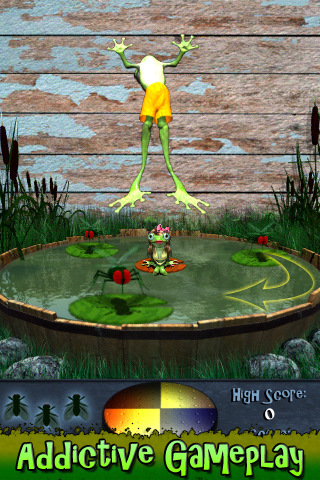 Slyde the Frog is available in the Apple iTunes store for iPhone and iPod Touch, and is currently absolutely free to download. With additional level packs available, global score boards, and Facebook connectivity to rank yourself among your friends this is the coolest game to hit the hot summer gaming market yet. So check it out, and show Slyde the Frog some love! 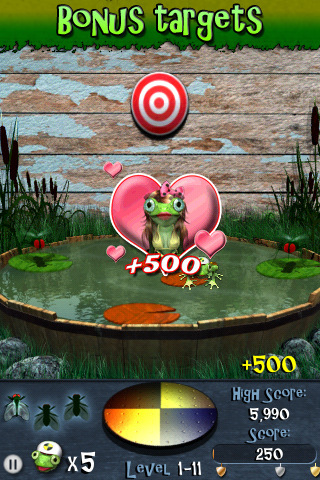 No digital frogs were hurt in the making of this game.